The domaine Jean-Marc Brocard is an independent family company committed since 1997 to ecology. Since the beginning, Jean-Marc Brocard is committed to a healthier culture, respectful of its environment. In 1997, a plot of 11 hectares of Chablis is conducted in organic and biodynamic. This first step allows us to observer force and reflection, to better understand this work philosophy. A learning every day for the domaine and its teams. Today, 60 hectares are certified organic farming and biodynamic 40 hectares. What makes Domaine Jean-Marc Brocard one of the first wine producers in organic farming in Chablis and Burgundy. Cardiac Surgery Enfants du Monde helps children suffering from heart defects to come to France and be operated when they can not be treated in their countries of origin due to lack of financial and technical resources. 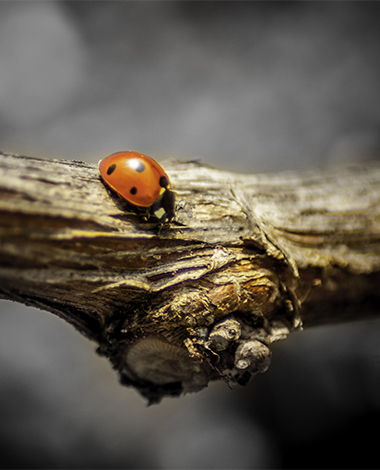 Domaine Jean-Marc Brocard, engaged in organic viticulture in favor of public health and the environment, has chosen to give its support to Terre d’Abeilles to contribute to the pursuit of its public interest action for the preservation of pollinating insect fauna, essential and urgent.